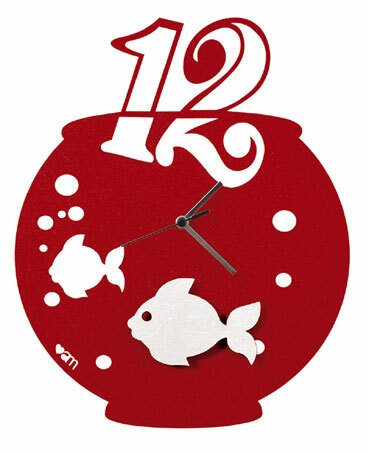 A funky Italian clock designed as a red fish bowl with white fish raised from the face. Requires 1 AA battery (not included). 36cm high and 30cm wide.